“…We always say we want to meet people where they are. We set out to write these songs so whether a Christian or someone who doesn’t know the Lord who might be sitting in a car, we wanted to be able to meet them where they are, whether through the words of the songs or through the sound. We want people to know the Lord and enjoy some good music at the same time. We have always said our desire is for our music to be the catalyst to tell the story of Jesus. We may not have the gospel written out in the song but through our music and our story we hope we would have a moment to introduce people to the hope we have in Jesus…” Jenny And Tyler. The Gray Havens. For KING & COUNTRY. Love & The Outcome. Copperlily. The Civil Wars. LOVECOLLIDE. Shane & Shane. Brad + Rebekah. FFH. Mary Mary. Just a few of the duos impacting the airwaves and listeners lives at the moment- showing us that music created with a permanent collaborator by your side, can have a long lasting positive impact, for yourself and for the listener. 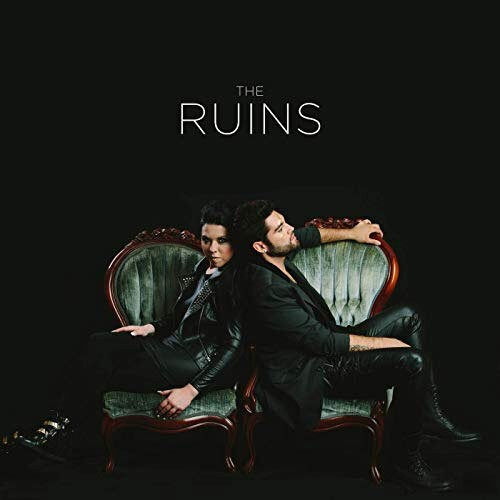 But as you all know, new music is continually released on Fridays, therefore the time has come to introduce to you all Debra Black and Victor Gonzalez, who make up CCM/pop duo The Ruins. Recently signing to Dream Label Group, and possessing a powerful pop/EDM atmosphere all throughout the songs, Victor and Debra have unveiled their self-titled debut EP- yet with the project dropping on the same day as Follow You Anywhere from Passion, plus Michael W. Smith’s new single; should this ‘polished’ pop outfit be worth your time, especially since the duration time is only around 20 minutes for 6 songs? The answer is…yes, of course! Sure, the guys aren’t that adventurous with the music, but in this dance/pop setting, they don’t need to be. Taking plenty of synth and catchy hooks, and littering them throughout their songs, and then combining strong and compelling vocals sung in harmony; both Victor and Debra has thus created a noteworthy and compelling debut project, albeit a tad short. Still punchy and relevant and inspiring nonetheless; The Ruins kickstart their EP with the poppy and danceable 3 minute tune “Run”, where Debra and Victor brilliantly sing together in harmony, and hauntingly convey to us that we as Christians need to run from the enemy and our adversities and run towards Jesus- the One who can restore us and make us whole. Extremely radio friendly and inspiring in message; this song lays the foundation musically and thematically for the rest of the melodies. “Only Going Up”, similar is message to “Run”, is sung in second person instead of first person, and is as encouraging as any song I’ve heard recently; while “Deliverance” has a kind of Jonathan Thulin/Charmaine-“Dead Come To Life”-atmosphere (definitely a good thing!) as the cinematic, epic, and anthemic melody showcases Debra and Victor at their vocal best, where they proclaim to Satan that the lies he’s told over us don’t have any hold over us- instead we can rely on the deliverance Jesus has already provided to us. “Monument”, a 3-minute EDM danceable pop tune, overtly explains the duo’s name and the story behind that- yet other than that interesting lyrical tidbit, it’s a pretty standard track. While “Bow Down”, the penultimate melody (yep, the EP is that short, although it’s still impacting and relevant! ), has Debra channelling her inner Blanca, and fervently reiterates that we as people shouldn’t bow down to the pressure of conforming to today’s society of materialism and consumerism; it is the closer “Who We Are”, a chilled, laid-back synth driven mid-tempo ballad, that grabs my attention the most. As both vocalists earnestly highlight the fact that we can only know more about who we are as believers when we fully grasp the notion of who God is through His creation; we are met with an exquisite track to end a solid debut project, even though it is a little on the short side in duration. “…God created a beautiful world and set it in motion, but sin entered the story and painted a new picture. Through Jesus, He chooses to use the ‘ruins’ of our lives to draw people to who He is, if we let Him. He takes our ‘ruins’ and makes us monuments for His glory and Kingdom. Just because life hits us or sin has us ensnared doesn’t mean our story is over and he can’t use us. He loves us and offers restoration and healing through Him. We had a cool moment of coming to this name individually so we knew God chose it for us to tell HIS story through it…” The Ruins isn’t a band name you’d often hear, however I reckon after this EP, this band is one name you’ll all hear a lot about. Sonically similar to artists like mikeschair, Group 1 Crew and Rachael Lampa; Victor and Debra have unveiled to us a heartfelt and hopeful collection of songs for whatever season you’re in. Maybe a full length debut project is right around the corner- however whenever it is, let us just sit back and enjoy these 6 gems and treasures. I guarantee you will be singing along to at least one of them.